Opening Standards: The Global Politics of Interoperability - eazydoc.com | Free eBooks Download - EBOOKEE! Openness is not a given on the Internet. Technical standards--the underlying architecture that enables interoperability among hardware and software from different manufacturers--increasingly control individual freedom and the pace of innovation in technology markets. Heated battles rage over the very definition of "openness" and what constitutes an open standard in information and communication technologies. In Opening Standards, experts from industry, academia, and public policy explore just what is at stake in these controversies, considering both economic and political implications of open standards. 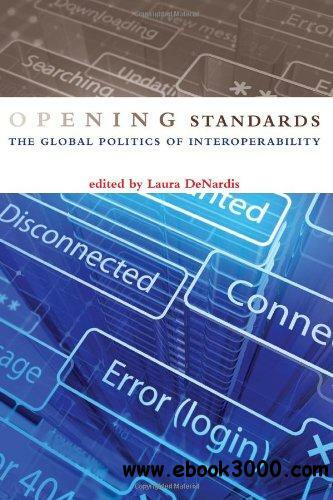 The book examines the effect of open standards on innovation, on the relationship between interoperability and public policy (and if government has a responsibility to promote open standards), and on intellectual property rights in standardization--an issue at the heart of current global controversies. Finally, Opening Standards recommends a framework for defining openness in twenty-first-century information infrastructures. Contributors discuss such topics as how to reflect the public interest in the private standards-setting process; why open standards have a beneficial effect on competition and Internet freedom; the effects of intellectual property rights on standards openness; and how to define standard, open standard, and software interoperability. No comments for "Opening Standards: The Global Politics of Interoperability - eazydoc.com".